As the new owners of a 137-year old home in Mt. Airy, Pa., the Nasratullah family knew the original terra cotta roof had to go. They hesitated, not wanting to give up the historic look of the roof, but it was in bad shape. That’s when they learned about synthetic roofing materials. Installation of the DaVinci Roofscapes® synthetic slate tile went smoothly for the team at Bennett Construction. They started by stripping away the original historic roof and then moved on to installing the DaVinci product, working on a roof turrets and adding copper accents. 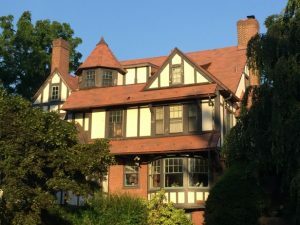 In Mill Mountain, Va. the Dye family also relied on synthetic slate tiles to replicate the look of the original red Mediterranean tile roof on their 1929 Italianate-style stone home. 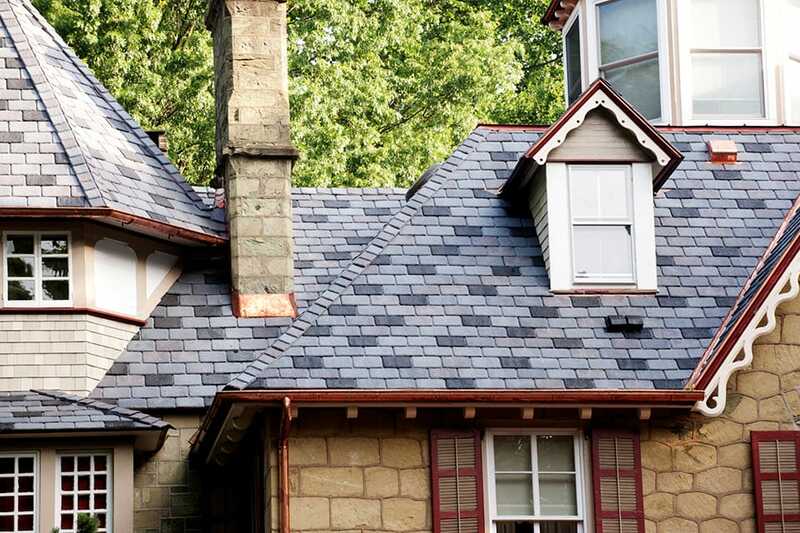 “We did an extensive amount of research on roofing materials and searched for a realistic and durable slate product,” says homeowner Nancy Dye. 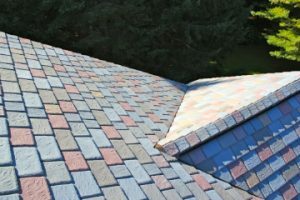 “The result is a DaVinci Roofscapes Multi-Width Slate roof that we love. To improve the look of her 1860 home, which sits on land deeded to the original property owner by William Penn, Irene Darocha replaced worn-out cedar shingles with synthetic slate tiles. Darocha chose to create a custom blend of colors for the DaVinci composite roof, combining the Milano blend of dark purple plus light, medium and dark gray slate tiles with black tiles.